With a dream of one day becoming a computer programmer, 15-year-old Edmon Harutyunyan spends much of his time helping to install or update software programs on his neighbor’s computers in Paravakar. Free of charge, of course. Edmon’s father died of a heart attack four years ago and his older sister moved away when she got married. When Edmon’s brother left to try his luck with a job in Russia Edmon was left alone to help his mother and grandmother in this small town in Tavush Province. 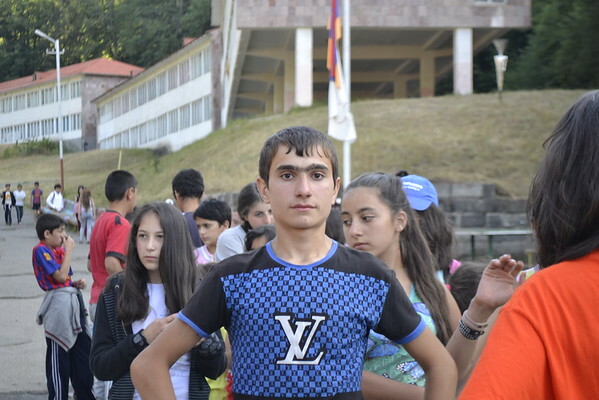 Two years ago Edmon became a recipient of the Children of Armenia Sponsorship Program (CASP), though which he receives a monthly stipend from a family in the U.S.
Once he accomplishes his dream and becomes a programmer, Edmon is confident that he will eventually return to Paravakar. “I like the village life. Although I would like us to have more activities here, like some hobby groups or a teen center, I hope it will change soon. And I will try to contribute to it,” he said. In July, Edmon was one of the 140 FAR beneficiaries who spent three weeks at Aragats summer camp in Kotayq Province. “I have been to many camps but this was my first time at Aragats. I had a great time. I made some new friends from Berd, Gyumri and Yerevan. The activity I liked the most was the Olympic challenge. I was part of the volleyball, football, table tennis and checkers competitions. I even learned some new sports and games,” said Edmon.